Learn more about Black Sun (Blue) from Amelia Konow. In pursuit of her lifelong fascination with cosmic phenomena, Amelia is always looking up to the heavens with hopes to capture our magnificent galaxy with her lens. 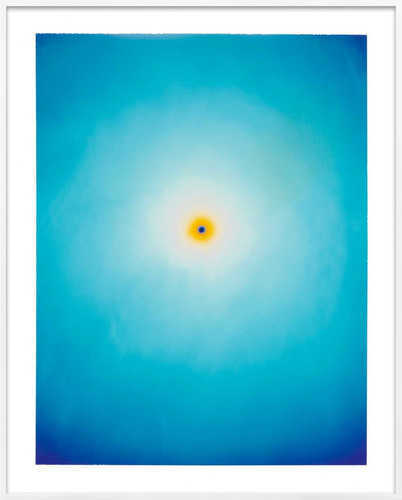 Calm and minimal, Black Sun (Blue) is layered with mystical meaning. Amelia Konow is a visual artist whose work addresses human perceptions of cosmic phenomena. She has taught photography at the San Francisco Art Institute, the New England School of Photography, and currently teaches at UC Berkeley.